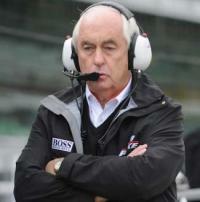 Roger Penske may have been the communitarian entrepreneur who spearheaded the transformation of Detroit for the last Super Bowl seen played on Michigan soil, but his real credit ought to be given to him for assisting a “shift” in the auto retailing world. You see, Penske has applied a systems lens to the interconnectivity of dealer operations which has created the #2 auto retailer in the U.S. I have personally witnessed how Penske places retail with a keen awareness of how service and sales interplay to support clients in Nissan, Audi, and Mercedes stores. Penske also seems to promote his organizations to learn from one another by creating brand managers to act as conduits to each specific brand. Even the business development centers are inspirited by casual loop diagramming to ensure call routing and client delight. These centers are home to proficiently cross-trained professionals acting like a double-A baseball team for Penske auto campuses. Operational knowledge and experience ripen their likelihood for internal promotion. The auto business, though, is a tough racket plagued with undercurrents promoting norms of “getting the deal done” at all costs. Movies, like True Lies with Arnold Schwarzenegger, have depicted car-sale reps in a similarly unfavorable light. But, people, yes human beings do comprise the human activity systems that sell, service and promote automobiles, so how can this be a missed part of how we respond to this market segment? Certain aspects of Penske’s business acumen have made front-page headlines, like his ability to turn-around Detroit Diesel. But, strikingly, his efforts to shift the systems of auto retailing seems to have never reached any public news outlet. More recently I was checking up on this complex industry by reading Automotive News and Penske’s intuition about be systemic seems to have been creating a favorable market response. >> Same-store retail revenue increased for Penske in the fourth quarter by 8 percent. >> Average gross profit margin per new vehicle sold rose 8.4 percent, and the average transaction price for a new vehicle rose 4.4 percent to $38,800—a figure that’s above the industry average because Penske is weighted heavily toward premium and luxury cars. >> At the end of 2011, premium brands of cars accounted for 70 percent of Penske’s new vehicle sales, up from 68 percent a year earlier. BMW, Volkswagen AG’s Audi brand, and Daimler AG’s Mercedes-Benz accounted for 48 percent of new vehicle sales in the fourth quarter. These key performance indicators may not hit the mark for you if you are a pragmatic Prius or Jetta driver, like me. However, if you consider it evidentiary support of how systems theory in action may be a difference-maker in a seemingly stodgy business, then it certainly is worth noting. Creating systems may not be easily taught to the classic auto dealer and operator, but Penske’s spinning up quite a lesson on how being conscious of how people communicate, budget, leverage technology, and integrate knowledge can create profits in an industry hopefully leading to elevating the expectations of consumers as well. Perhaps the next stop on the ever-changing yellow brick road of auto retailership could be cultural intelligence learning. I’d love to see Penske plug into the transforming culture of dealerships. Systems thinking may create profits, but conscious cultures of collaboration are not automatically born from these systems. In fact, I suspect Tony Hsieh from Zappos could lend a helping hand. Zappos’ book Delivering Happiness introduces a nice, grass-roots way for leaders and managers to understand how culture is the gorilla glue that holds together talent today. But it is not the “holding together” of people that matters only; being contributory to the organization daily also creates the “culture pump” of internal change necessary for productive, engaging workplaces. These workplaces are where modern-day employees belong and thrive. There may not be an Automotive News report for cultural factors and I don’t expect one to appear anytime soon. I do know that if auto retailing in the U.S. is going to truly transform, organizational culture issues may be the ones that matter most rather than the unit sales made.